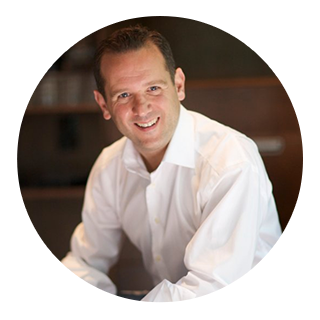 I’m looking forward to working with you at The Rapid Cash Generator Implementation Bootcamp June 14, 15, & 16, 2019. #1 -- Block out JUNE 14th, 15th & 16th 2019 on your calendar right now. We’re on at the Sheraton Tysons Corner, 8661 Leesburg Pike, Tysons, VA 22182. Are there any parking spaces available? Yes. The hotel has parking all around it and there is actually a garage underneath the area in front of the main entrance (It’s hard to see). There is no charge for parking. In the event that the hotel is super busy, we try to have them reserve spaces for us. These are in the back of the garage near the elevators and have cones in front of them with signs saying “Traction”. Feel free to move the cones and park there. In the event you still don’t get a space, you can park next door at Wal-Mart, but there is a daily fee. 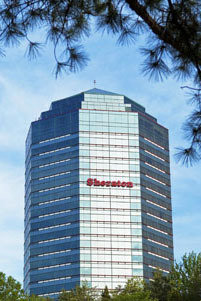 The Sheraton Tysons Corner is our event location. https://TractionRealEstateMentors.com/hotel This link takes you to our room block rate of $99 per night. Reservations must be made by June 1st. Check online travel sites as well, as sometimes they have better rates. In addition, you can Google ‘Tysons Corner’ and you’ll see that there are several hotels in the area, catering for all styles and budgets. What time do we start and finish each day? Arrive between 8:30-8:45am to make sure you’re ready for kickoff. We start at 9:00am sharp. We finish at 6pm all days, so you’ll be able to catch an evening flight home on Sunday if you need to. Just yourself. Notebooks, pens and everything you need will be provided. You will NOT need your computer. Old school note taking helps you better learn the lessons. You will also NOT need to bring your copy of The Rapid Cash Generator Kit. We will provide extra copies of anything you need from it. Is there a dress code? What should I wear? Clothes. Other than that, whatever you feel comfortable in. Do whatever feels right for you. I heard there is something special happening on Friday night. Is that true? Yes, there is something special happening on the Friday night. It’s a group dinner that gives you a great chance to connect and get to know your fellow classmates. Please keep the evening free. You’ll be very glad you did. My question wasn’t answered. Can you help me? 9am to 6pm all days. Washington Dulles Airport (IAD) and Washington Reagan Nation (DCA) are closest. Baltimore (BWI) is further away, but an alternate choice. The hotel provides free parking. The hotel is adjacent to the Spring Hill Silver Line Metrorail stop. You are on your own for all meals. We will host a welcome reception for all students on Friday June 14th in the hotel restaurant. Dinner and/or drinks are on your own, payable onsite directly to the hotel. Ask for the Traction rate of $99 per night. Reservations must be made by June 1st 2019.